TiVo released the 18th edition of its quarterly video trends report today, including insights on pay-TV vs. over-the-top (OTT) user experiences, the challenges faced by sports networks, the truth about voice search and more. Data illustrating the effect of content recommendations on respondents’ ability to find something to watch. In Q2 2017, not surprisingly, almost 80 percent of survey respondents said they only wanted to pay for the cable channels they actually watch. In the U.S., the average price respondents are willing to pay for the top 20 channels is $29.97 (almost 6 percent higher than last quarter); in Canada that average price is $26.34 (just over 3 percent more than last quarter). 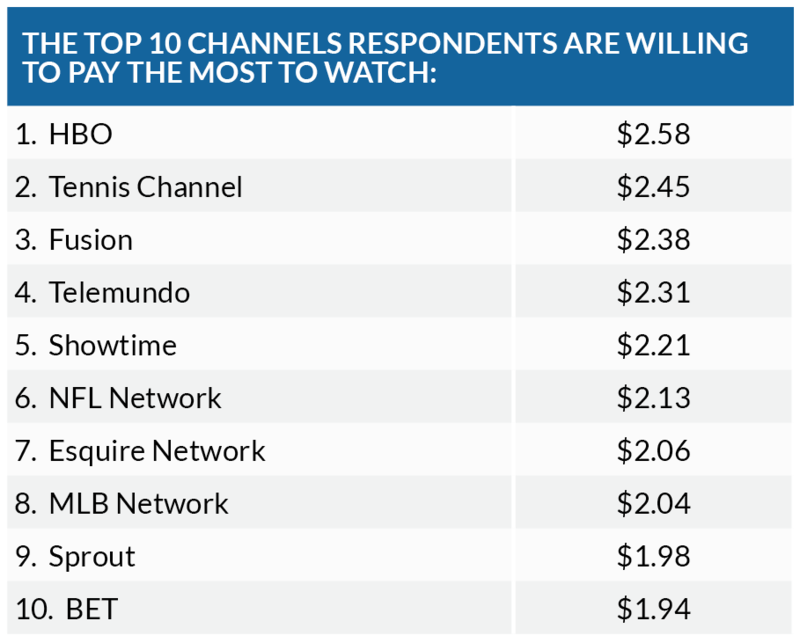 While many of the top-rated networks available via OTA (over-the-air; read: free and otherwise accessible via antenna) are among the most-wanted channels in à la carte packages, respondents confirmed they will pay a premium for valued channels. See page 9 of the report for related findings. TiVo’s Data Science Team explored “skinny bundle” offerings from virtual multichannel video programming distributors (vMVPDs; i.e., Sling, PlayStation Vue, Hulu TV, DIRECTV Now, YouTube TV). 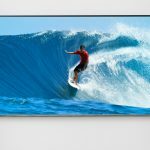 These companies are looking to appeal to consumers by offering smaller channel packages at a lower cost than traditional MVPDs. 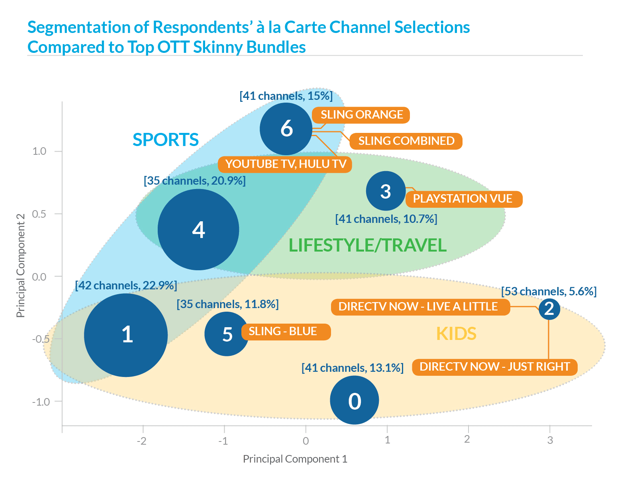 Survey findings suggest the narrow concentration on sports and medium-to-large channel offerings in vMVPD skinny bundles met the needs of needs of less than half of all survey respondents. 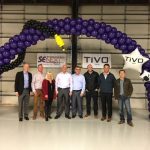 Rather than creating a limited number of offerings with too many unnecessary channels for their à la carte packages, TiVo believes vMVPDs are better off replacing lesser-desired channels with more popular ones in an expanded list of skinny bundle interest categories to gain more market share. See page 12 of the report for related findings. 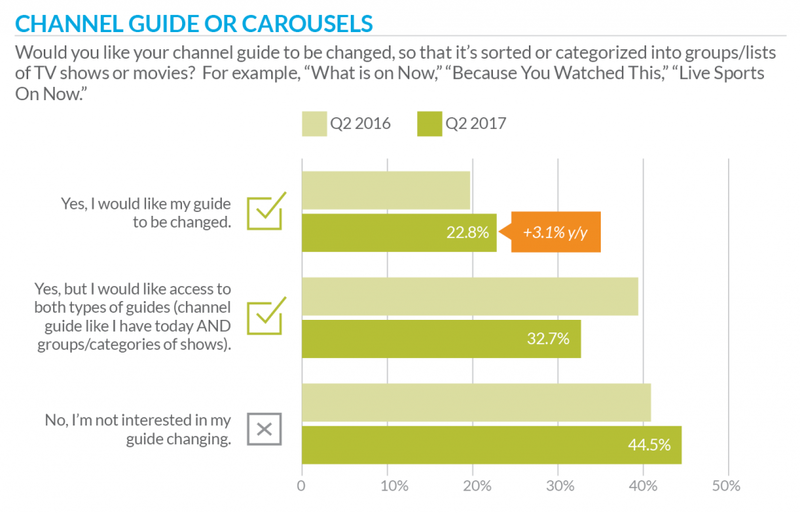 Finally, survey findings revealed those who wish to see next-gen user experiences (e.g., carousel format) integrated into their channel guides increased slightly q/q, although the number of respondents not interested in curated video content (i.e., they favor the traditional grid guide) held steady at just under 50 percent of respondents. See page 18 of the report for related findings.